Disruption of schools rugby has been a possibility on many occasions in recent times. Problems have come up due to gaps which have left room for exploitation. The high pedestal attitude that has marinated the thinking of people who run the society has also been a contributor. The present injunction issued by the courts is a result of the amateur handling of an issue. The schools are run by intelligent people in whose hands the future generation lies. They are clever people who get carried away forgetting that they are not handling small children where the Hitler attitude can triumph. The outcome in court is a clear indication where the absence of the officials saw a clever lawyer outwitting the complacent officials who failed to be in courts. On the 1st of March the District Court of Colombo issued an interim order restraining the Secretary and Treasurer of the Sri Lanka Schools Rugby Football Association (SLSRFA) from holding the 2013 Schools Rugby tournament without allowing the players of Vidyartha College Kandy to participate in group “1″ – category “A” matches for the year 2013. This order preventing holding the Schools Rugby Tournament for the year 2013 is accepting the plea of Vidyartha to be allowed to play in Division 1 A. The order is effective and valid until a final decision is given. While restraining the Secretary and the Treasurer of the SLSRFA the judiciary observed that they were not present in court and issued an order of injunction on them and noticed the other thirty eight respondents to appear in Court on the 15th March. 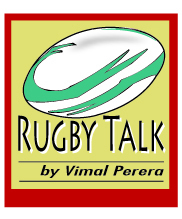 The petitioners alleged that the School Rugby Association is planning to hold the 2013 Schools Rugby Tournament without allowing Vidyartha College Kandy to participate in group “1″ category “A” in the year 2013. They allege that not allowing Vidyartha students to participate in 1- A group is a violation of the constitution of the SLSRFA. The petitioners cited 40 respondents including the Minister of Sports as and the SLRFU. The arguments of the petitioners who are players and parents are that those who have not played and those who are to play in the future are punished. The school has previously accepted the violation: the current position is that those who are not a party are punished. The order as it appears is restraining the Secretary and the Treasurer in conducting the Division 1A tournament. Opinion is that the order however does not seem to effect the holding of other events nor the function of the SLSRFA or the two office bearers attending to other duties. There seems no bar for the tournament to be run by others. Getting the order vacated though the same court or failing which going to a higher court is the path to be taken according to legal sources is an option that is open and is also safe. Through absence simple case has now been has been blown to be a problem. The order is on the individuals and legal sources claim that the contents of the prayer and getting the injunction set aside are two different things. Speaking to a legal spokesperson handling the case for the school section they confirmed that they are pursuing action to file objections and informing court that they wish to go ahead as scheduled. The position that this can affect the entire schools rugby population is a point in favor of the schools. The sources also confirmed that the order against the Secretary and the Treasurer of the SLSRFA and does not prevent the other 38 respondents. The petitioners argue that treatment is not equal as in others and the punishment is excessive. While the issue at hand is not to disrupt the game the way it is handled has to be professional. Blaming the media for making the public aware is not the way to go. Nor is the indirect insinuation that the governing body likes to see a breakdown is if use. What is important is to see that the game continues. The help of the Governing body is important as they too are worried because disruption is not good for the game at a national level. When the Union is working at a budget of over 50 million rupees the forward march of the game is important to them. The need is to work with all and get out of the mess than make allegations. The school teachers no doubt are intelligent and have the experience, qualification and training to handle issues related to the student population. The problem arises when they switch to tunnel vision mode supported by other incompetents and move away from rational way of thinking. G.S. Gupta (Law of Injunctions, 7th edition 2011, pg. 175) had stated that, “The purpose behind the grant of temporary injunction is to protect the legal rights and to avoid future injury during the pendency of litigation and thus maintain the matters in status quo until the matter is finally disposed of. It is also intended as a step in aid of the final relief that is to be ultimately granted. Prior to the granting of an interim injunction a Court must be satisfied that the claim of the petitioner is not frivolous or vexatious and that it is founded on good grounds. The Court must be satisfied that there is a serious question to be tried and that there is fair. This is what the schools section failed to present against the petitioners case as they were absent at the second hearing. Absence probably meant they had nothing to say.